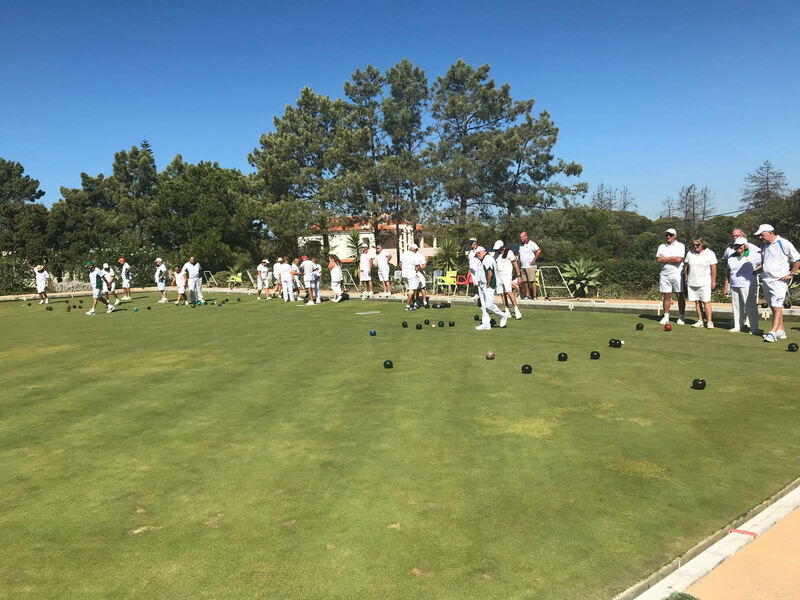 The London Irish Bowling Association, which was originally known as the London Irish Bowls Club, was created in 1955, by recruiting Irish bowlers and those with an Irish name or connection, from a number of London Bowling Clubs. Great support was given by the Guinness Club in many ways, not least by offering the use of the Guinness Club's facilities on match days. Indeed the first President was C. E. Guinness whose earlier encouragement had been so instrumental in the successful creation of the Association. By March 1956 there were 40 founding members who agreed that the Club should become an Association. Hence, the birth of the London Irish Bowling Association. As a result of a casual conversation, in 1961, between the then President (C. E. Guinness) and a member of the London Welsh there arose an annual outdoor competition, now known as the Miniature Internationals, between the London Welsh, Scottish, Irish and an appropriate team which could be 'dubbed' the London English, who play for the Edward Guinness Trophy. Since 1978 an indoor Miniature International has also been played. 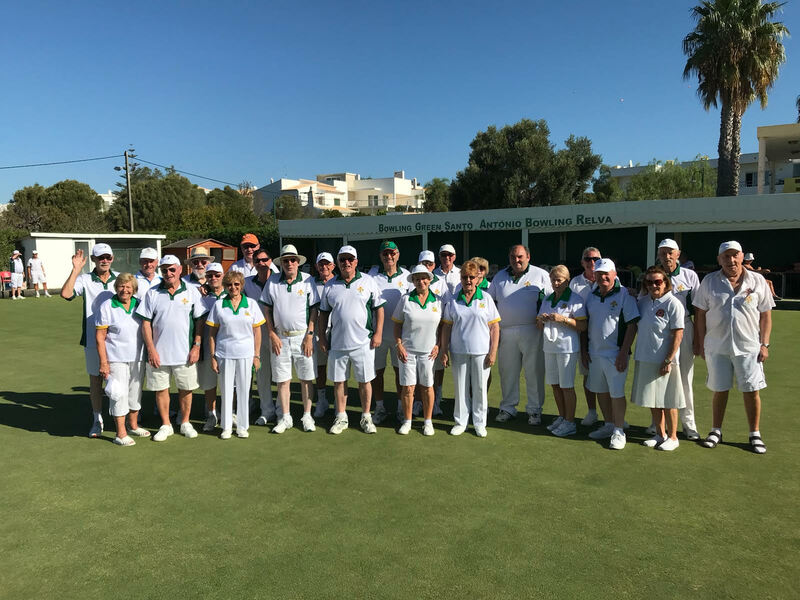 Since 1961 the Association has gone from strength to strength and now has a membership of 320, and a waiting list of Clubs who wish to have an annual fixture. Also see 'History of LIBA' page. 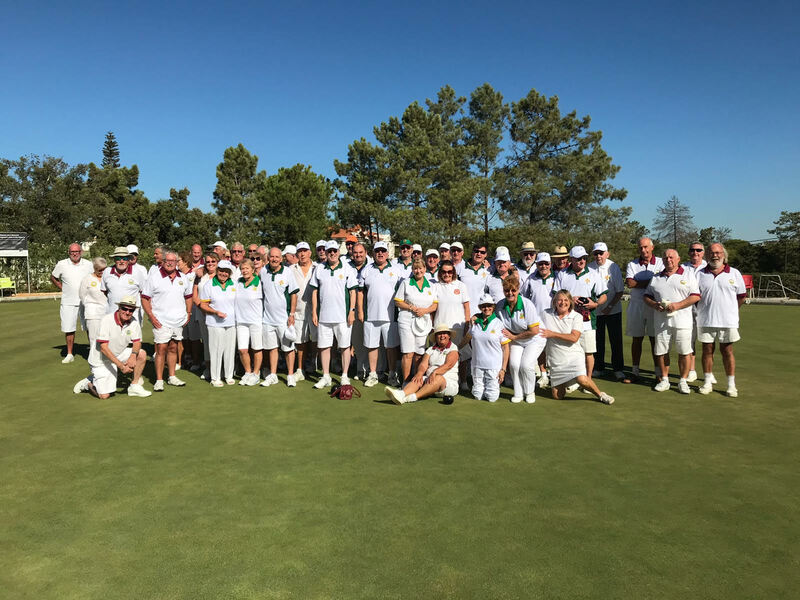 The 2018 tour to Portugal proved to be very sussessful, with all three matches played producing a win for thr London Irish. We couldn’t have picked a better place to come and the weather has been wonderful, 26 everyday and although we had some light rain during the final match, with the warmth it didn’t matter as it only lasted a few minutes and we were dry in no time. 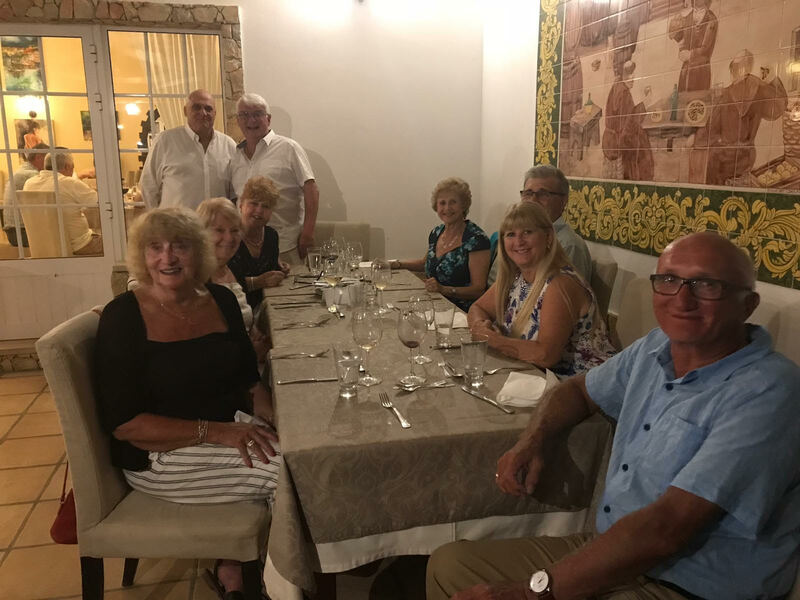 All in all a marvellous holiday, thoroughly enjoyable The hotel and food was truly superb and the resort location was really ideal and beautiful with a lovely marina full of rich man’s toys!! The drink here is also very cheap, even a bottle of good quality wine can be bought for two euros. Irish member Mike Kett who now lives locally and played in the games has astounded us with the cheap cost of things to be found here on the Algarve !!!! 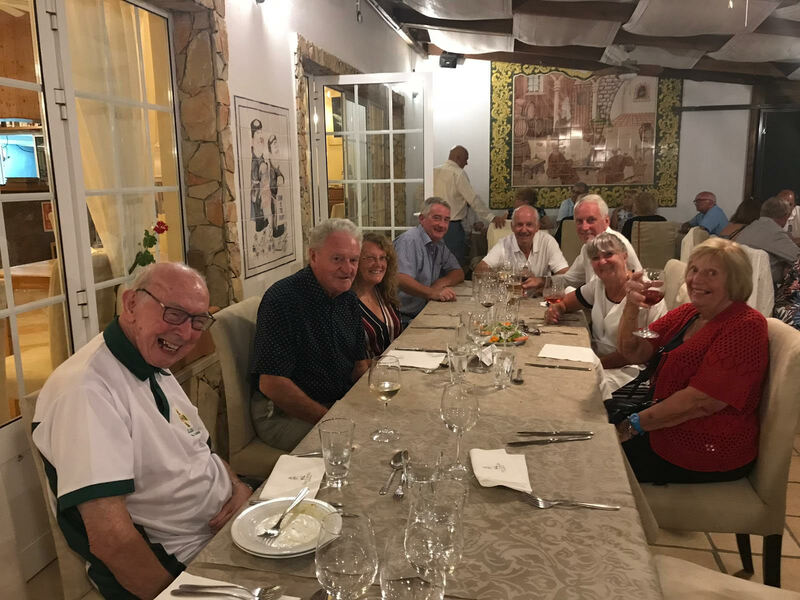 It has been a very happy tour with everyone getting on well together and the atmosphere among everyone was brilliant, Click Here to view the match results. 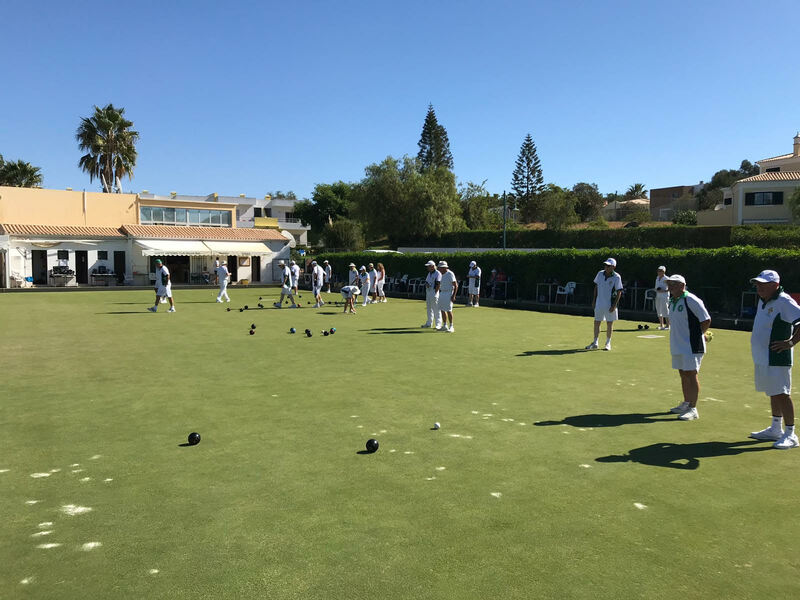 Pictures from second match Alvor. 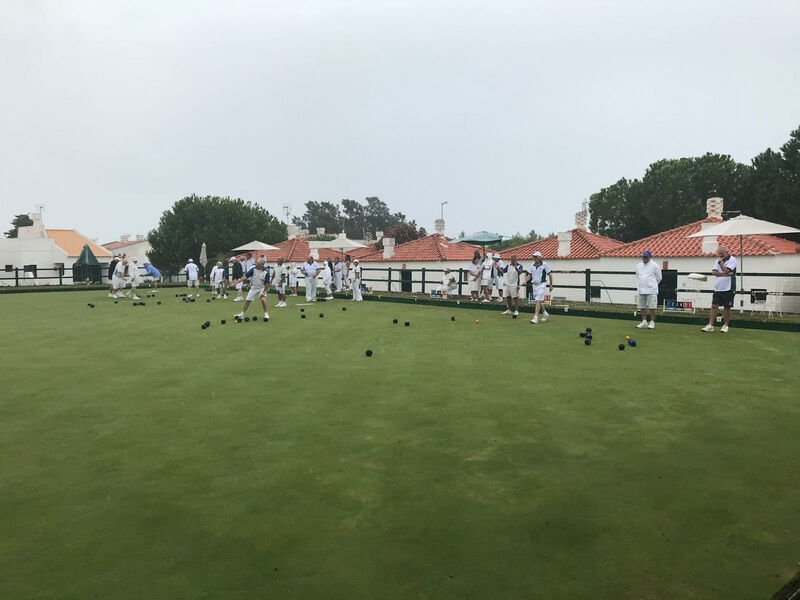 Pictures from the third match at Pedras. The tour ended with a gala dinner. Here are some photographs from the gala dinner minus the LIBA Captain who couldn’t attend due to sickness. 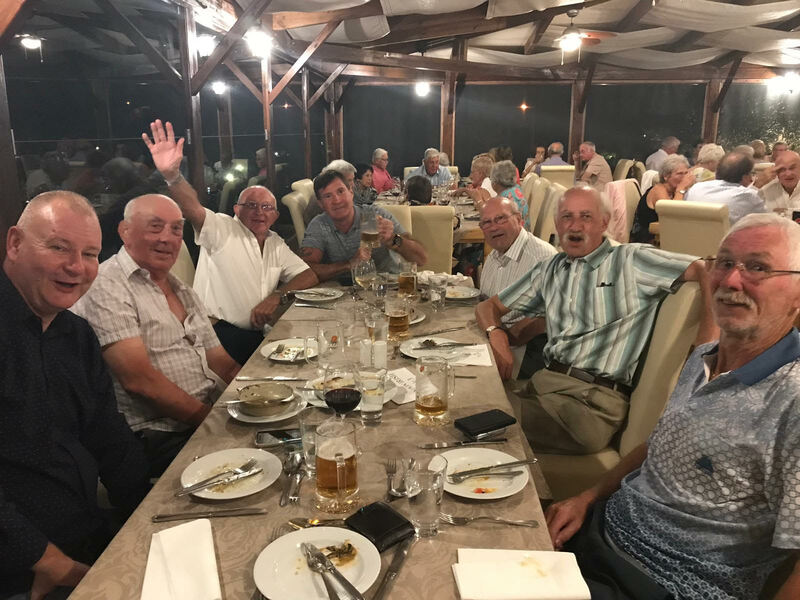 Following the dinner was the presentation evening for which the LIBA Captain was able to be present. 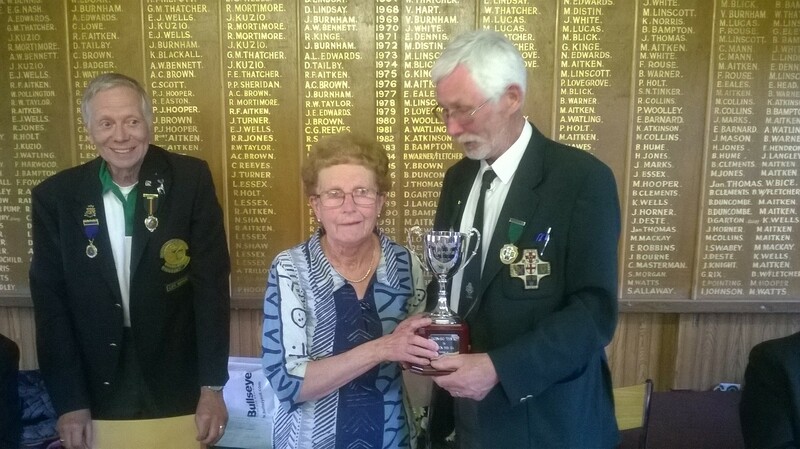 The top man bowler was Eric Parsons and the top lady bowler was Janet Stokes. The picture below shows Nigel Penn and FRank Oliver with Paul Lazenby, the Bowing Abroad representativve, who was presented with a LIBA Banner. And, finally, our lovely wonderful ladies. The weather for the day was absolutely superb but unfortunately the greens were both in a very poor condition. 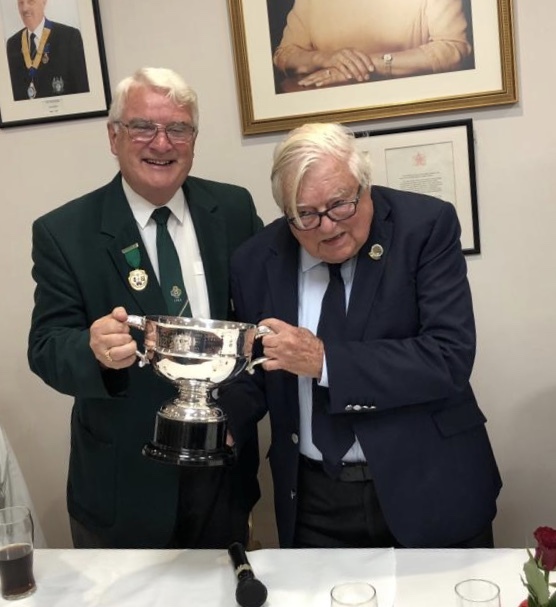 Nevertheless it was pleasing to see Our President Frank Oliver be presented with the trophy by Sir Edward Guinness who is now 95 and was assisted by his grandson. 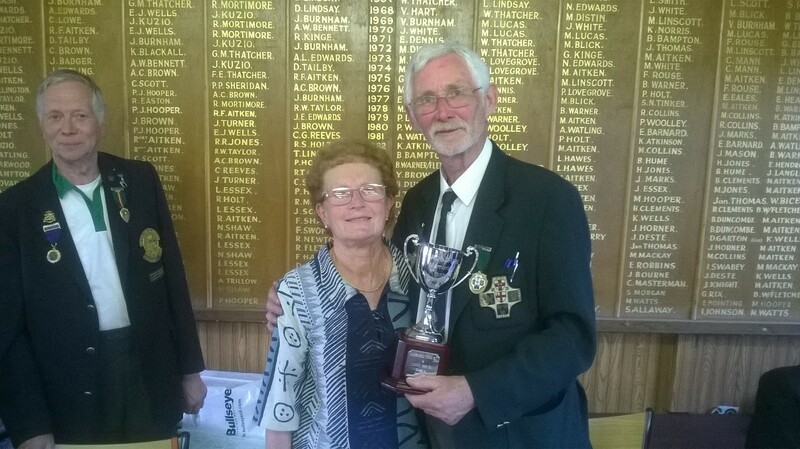 The picture below shows the winning captain Nigel receiving the the Jack Owens memorial trophy from Jack’s wife Ronnie, after the LIBA victory at Southey BC. 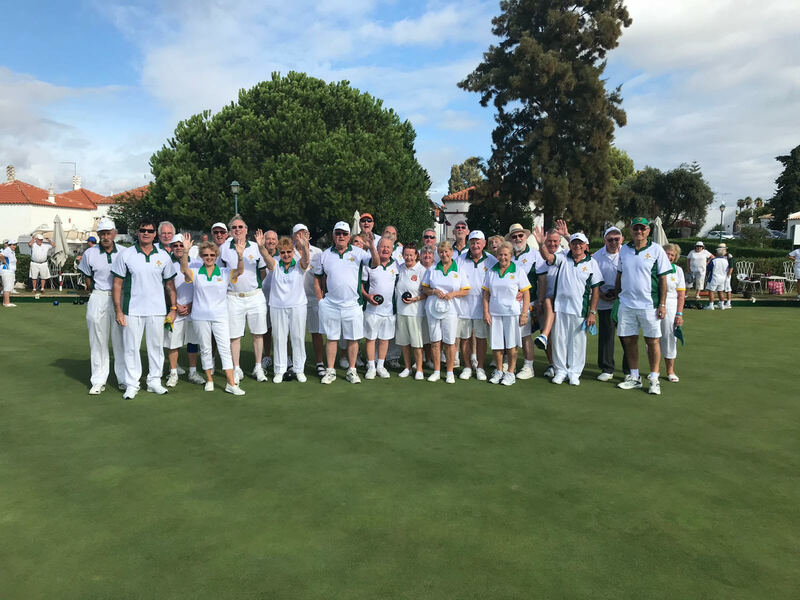 The Irish once again victorious as mini winners after beating the Welsh in the morning and beating the Scots in the afternoon. 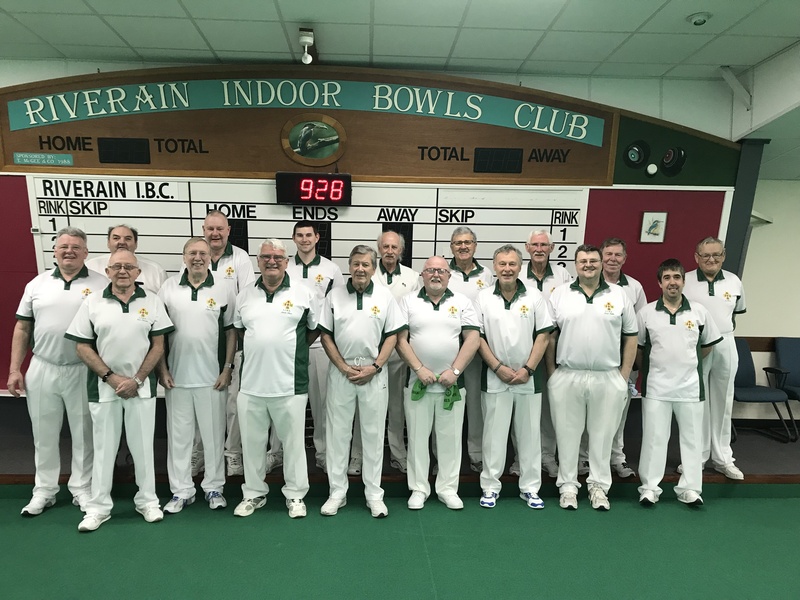 See the 'Indoor Mini Results 'page for the scorecards and the Indoor Mini Badge winners and the 'Limavdy Trophy' page for the latest winners. 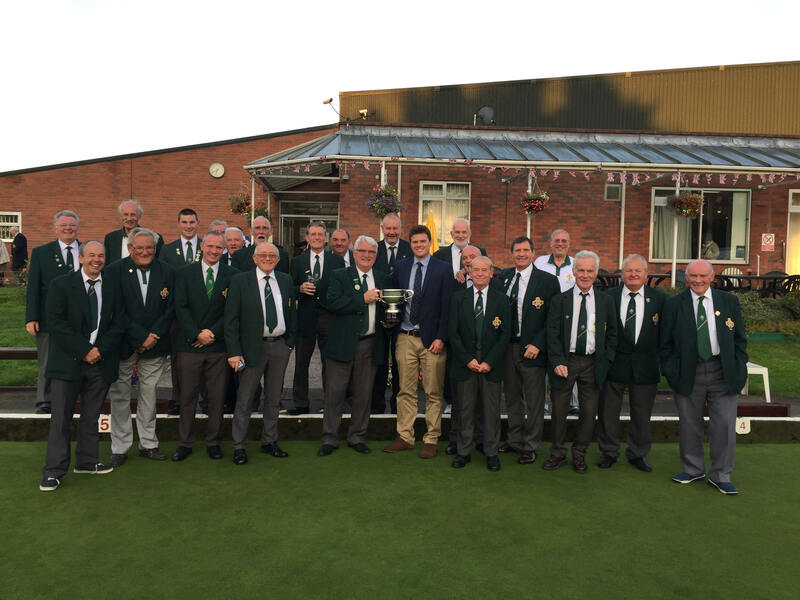 Congratulations to Captain Sean Fallon and the players of the London Irish team and a special mention of the two new Indoor Mini International players, Neil Kelsey and Nick Gaffney, who were part of the Limavady Trophy winning rink. The Outdoor 'Minis' were at Sutton BC. The Tropy was presented by the grandson of LIBA patron, Wedward Guinness. The pictures below show the presentation. The Barr trophy, presented to the Irish four with the highest aggregate score on the day of the Miniature Outdoor International, was won by Bruce Mac Bride, Noel O'Shea, Kevin McNamee and Des Hunter. The Indoor “Minis” were again played at Riverain with the Semi Finals being played between, the Welsh versus the Irish and the Scottish versus the English. The picture below sows the 2017 team. The London Irish BA overcoming the London Welsh BA by 109 to 57, and the London Scottish winning over the London English by 91 to 58. After lunch the battle was joined for the play-off positions in which the London English in a close contested game won by 97 to 83. The Final between the Irish and the Scottish, which of course starts off at the same time, became a very exciting and hard fought game. The Irish started after 5 ends with a lead of ten shots, down to 4 after 10 ends, and with some great ends from the Scottish who now put themselves in front to 6 shots at 15 ends. One more shot added against the Irish with 18 ends played by each rink, but as some rinks having played more than others it finally came down to the best Irish rink in the morning session requiring a five to draw the game. All the other competition bowlers, reserves plus visitors waited for the thought to be inevitable end of the game and the Irish hoping for a miracle. When the Irish had 4 of the shots required after the leads and twos had played the game was “on again”. Some players were then thinking they may have to dress back into whites. Excitement, doubts and expectations grew when the back end made a five which quickly turned into a three by a lovely drawing wood. The Irish skip was then looking to wrest the Scottish wood. Everyone held their breath. The line and weight looked right but when it passed by less than 2 inches Irish hopes were dashed and the Scottish were exuberant. This short report summarises the tour experience. Great Clubs: Hospitality,meals and greens very good; players very welcoming and enjoyable to play against. Bobby our tour coach driver: Grand tour experiences as well as getting us to and from our games. Jury's Hotel: staff, rooms, accommodation and breakfasts were first rate and well situated for shopping etc in Belfast. Congratulations to Jim and Sue Collins who provided a well arranged event and sorted any unexpected problems. A very close defeat for the London Welsh B.A., the London Scottish B.A. winning by just one shot for 85 to 84 scoreline. A clear win for the Englidh against the London Welsh by 90 shots to 81. Go to to the Tropy Winners 'Limavady' page to see the winners of theTrophy. The picture below shows.the presentation, by Bill Copeland, to the Captain of the winning LIBA team. Thanks to the hard work of Jim and Sue Collins along with Des Hunter, approximately 90 members and guests enjoyed an excellent evening at the Annual Dinner Dance and Presentation of Prizes held at Hounslow Conservative Club. 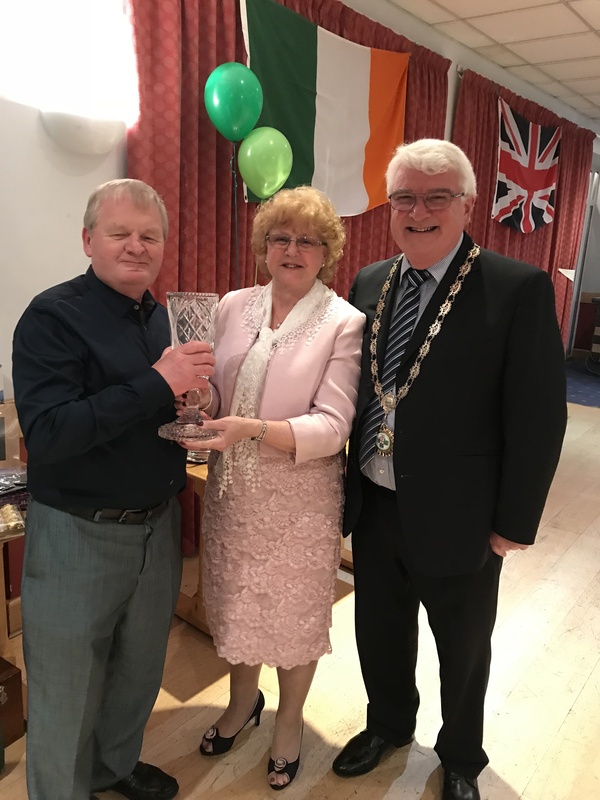 The Falls’ Vase was presented to one of our newer members, Alan McInerney, for supporting the L.I.B.A. and Captain by playing 38 games since joining in April 2014. Congratulations! Thanks also to those who supplied raffle prizes and contributions. 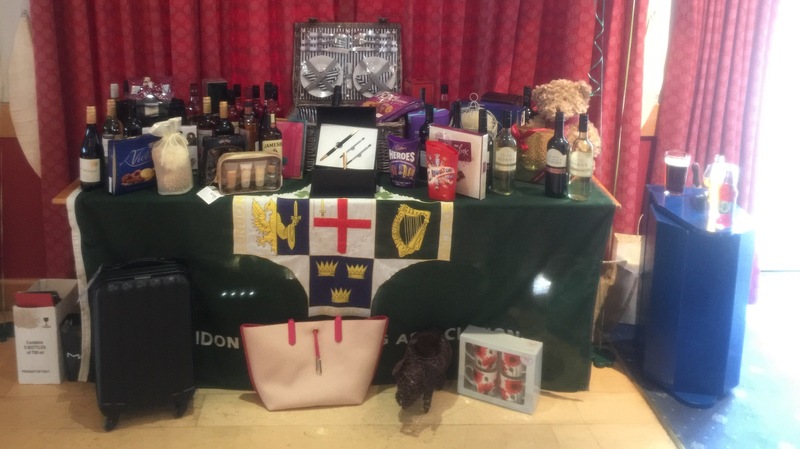 The pictures below show the raffle prizes and the venue. 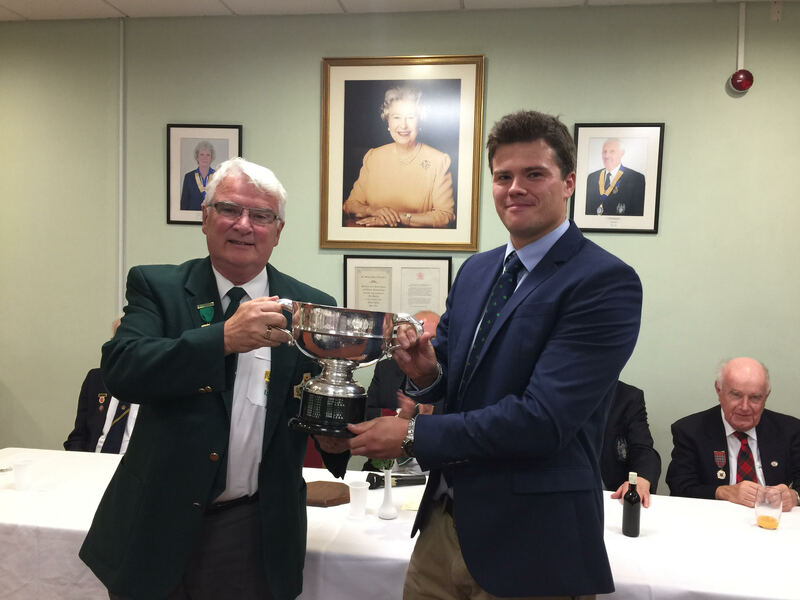 The newly instituted 'Frank Shaw Trophy', donated by Maidenhead Town BC to honour the memory of Frank Shaw, is to be presented to the winner of the annual matches between Maidenhead Town BC and the London Irish BA. The pictures below show the presentation by Ann Shaw, Frank's widow, to Des Hunter, Captain of the London Irish BA, the first winners. Alo shown in the pictures is Grant Oxtaby of Maidenhead Town BC. Thanks to the hard work of Jim and Sue Collins along with Des Hunter 66 members and guests enjoyed an excellent evening at the Annual Dinner Dance and Presentation of Prizes held at Hounslow Conservative Club. After a very good meal the dance floor was rarely empty with so many enjoying the opportunity to let their hair down dancing to the musical talents of the excellent Eamon Gorey. Trophies presented by our guest Frank Doherty of LSCBA. Helen Power, foreground, enjoying the excellent music provided by Eamon Gorey. Sue Collins who again organised the evening so well enjoying herself on the dance floor with Eileen Cummins. President Bill Copeland and lady wife Helen. This photograph was taken at Whiteknights IBC in January 2014. It shows a number of ladies who regularly support the LIBA team during their games. It is the Lady supporters who collect the sweepstake monies each week which is the only regular income of the Association.Thank you Ladies!